Everyone feels sad at times but feeling sad, hopeless, helpless or very uninterested in your life’s activities for more than a few days usually indicates the onset of depression. Depression is very common in the US and across the globe. 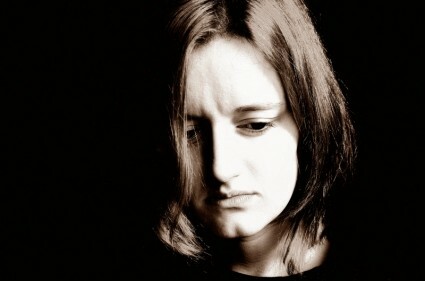 One in ten Americans will be diagnosed with depression this year and as many as one in four women will suffer from depression in their lifetime. Depression affects women twice as often as men but it is still considered a common disease in men. Do you feel helpless, hopeless or worthless 2 or more days a week? Have you lost interest in people and/or activities that you usually enjoy? Are you sleeping much less or much more than normal? Do you feel exhausted during the day time and/or take frequent naps? Do you feel like it would be easier if you were dead? If your answer to any of these questions is yes, you are likely suffering with depression. You can complete this questionnaire to help you further assess your symptoms. Medications: Antidepressants, mood stabilizers, medications that help improve sleep function and medications that help improve cognitive function are potential treatment options for depression. Sleep Interventions: In addition to sleep improving medications, developing good sleep hygiene practices helps alleviate many symptoms associated with depression. You should work with your mental health provider to develop a sleep plan that is tailored to your specific needs. You may also find this blog on sleep hygiene helpful. Talk Therapy: Many types of talk based therapy are helpful in treating depression. Cognitive behavioral therapy is effective in treating depression, as is Interpersonal and Psychodynamic therapy. Other Interventions: Other interventions may be helpful in reducing the effects of depression, including Transcranial Magnetic Stimulation, relaxation training, acupuncture, yoga, and regular cardiovascular exercise.